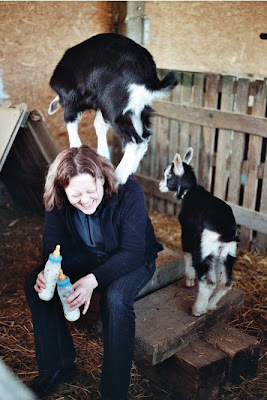 We haven’t been inundated with gîte bookings, despite the goat massage special offer, so I guess everyone looked at the date! In fact, we are currently empty, a few days gap before the next guests arrive. Our last vacanciers, Wendy and Clive, were due to arrive early afternoon (a week last Saturday) just two hours after the previous holidaymakers had left, a proper changeover with plenty of things for Gabrielle and I to do to make it clean and cosy, including setting a fire in the Godin stove. In the end, and halfway down the log pile, they arrived at quarter to one the following morning, having been delayed on their ferry trip by appalling weather. They’d thoughtfully phoned ahead to tell us about the delay and we decided to wait up together to see them into the gite. We’re usually in bed by 10.30, 11 at the latest and it was going to take more than a couple of matchsticks to keep our eyes open so, too tired to read, we surfed around the channels looking for something half decent to watch on telly. 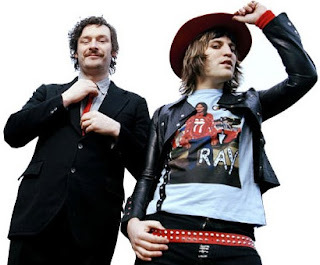 We stumbled upon, rather begrudgingly, an entire night of the surreal sitcom The Mighty Boosh. We’d both seen bits of episodes before but never got the point of it in the few minutes before bewilderment set in and we turned over. Thanks to Clive and Wendy, the heavy seas and the lack of anything else on TV, we’ve been “Booshed”. We (think we) now “understand” it; either way we found it hilarious, "genius" in fact. Clive is a talented photographer, a subject he also teaches at university; click on the link to have a look at his website. For reasonably-priced, quality sausage-making machinery and other supplies, call Tim at Weschenfelders. So, I have a question for you. I have been considering buying a meat grinder with sausage attachments (electric) However they are expensive. Have you used a hand grinder or does your butcher grind all your meat for you?? I would consider a non electric but can find no one who has used one to even tell me if it is so hard "don't bother you'll hate it" or "it's not so bad and well worth the money saved. If you have enough knowledge could you blog about sausage making equipment?? Or maybe find a "guest blogger" who knows about it :-D Your area seems to have more people who still know those types of things. A hand mincer does work but takes longer and is harder work. It depends how much meat you want to process at one time. We've looked at our electric mincer as a lifetime purchase, so justified the cost as we haven't bought any meat for many months now. Mincers (grinders) with sausage making attachments are a compromise and don't do the sausage stuffing part of things nearly as well as a proper sausage stuffer as the screw gets in the way. We have a dedicated, hand-cranked sausage stuffer, which is the cheaper of the two devices and works really well. It's much quicker than a stuffing attachment on an electrical mincer and easier to control. I guess you could go with a hand mincer (grinder) and a hand sausage stuffer. I have been considering a good electric meat grinder---but wondered since I know no other person that grinds their own meat. I didn't know that about the stuffer though so I will keep that in mind as I look. Thanks again. You reply does help me with my choice. Like you said it's a "lifetime" investment. Kind of like my grain mill.